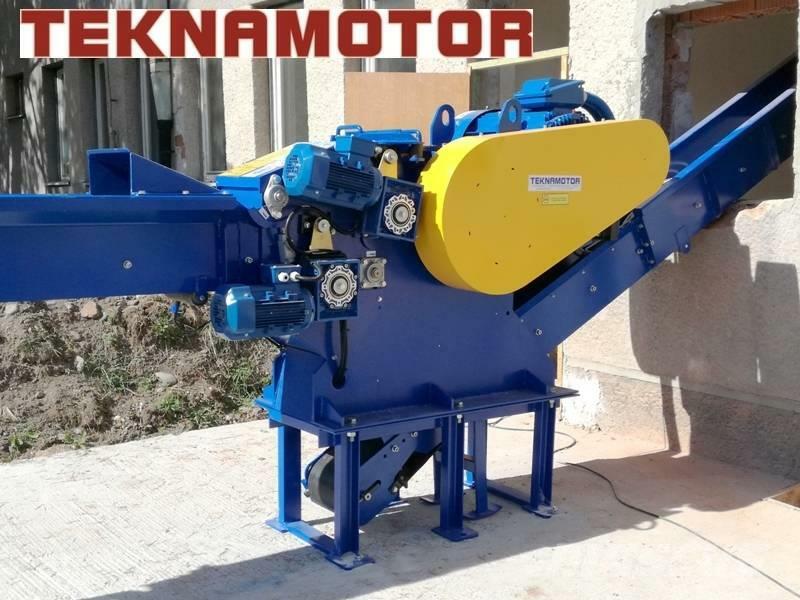 Dodatkowe wyposażenie Skorpion 250 EB is a stationary drum chipper designed for chipping flat edgings, round timber, various types of furniture and sawmill waste of a width to 250 mm. Dodatkowe informacje Skorpion 250 EB can cooperate with belt and vibrating systems of loading and conveying. The basic set of the chipper equipment covers a chipper, a control switchbox, and to request - a loading conveyor and a collecting conveyor.